After a slow start to the day, I had some errands to do about noon. 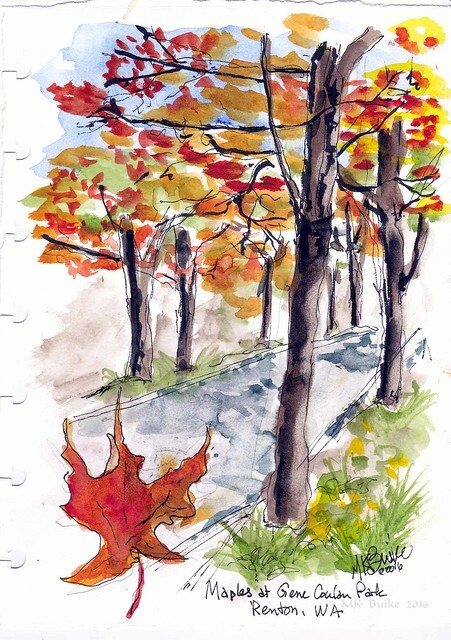 Once home, I decided to go out again, this time with my sketch kit. It was a beautiful day: not a cloud in the sky and 65 degrees. It was a Pperfect NW autumn day. 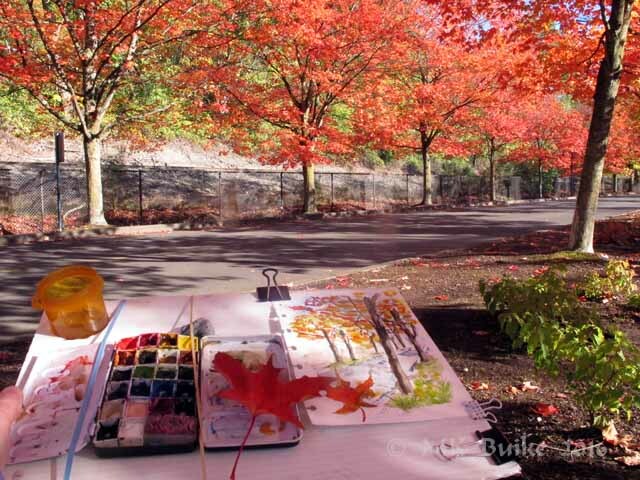 Gene Coulon Memorial Beach Park is well known locally for the vibrant maple trees that line the street. That was my destination as I wanted to sketch the trees again.There were so many people there, taking photos of the trees and also making family portraits with the trees as glorious background.